Hit, Draw and Tap is back for the 2018-2019 Season and it’s going to bigger and better! 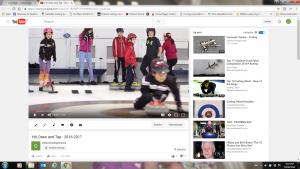 This event has become so popular that it’s going nationwide this year with Curling Canada taking over the program and sharing it nationwide! Hit Draw Tap or “HDT” as we like to call it, is a youth skills competition where kids age 6-13 compete as individuals. HDT will group kids into three different age categories, and perform three different shots, a “Hit,” a “Draw” and a “Tap.” The difficulty of the skills are modified based on the age of the child. All CurlON clubs in the province are encouraged to host an HDT competition at their convenience… last year some clubs ran it as a recruitment event during their OPEN HOUSE week, others built it into their Youth Curling Programs – practicing the skills as part of their regular programming, whatever works for your club is fine with us, as long as all club competitions are complete and results are received by January 7, 2019 at 9:00 am. 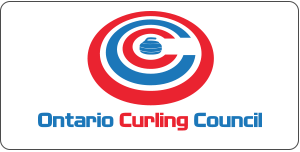 Participants will compete within their local club – and repeat each skill five times for a total score that will be compared against others in the province on a “Provincial Leaderboard” – the Top 10 curlers in each age group + ties will qualify for the Hit Draw Tap Provincial Championship to be held in Elmira on Saturday, February 2, 2019 as part of the 2019 Ontario Men’s and Women’s Curling Championships. Along the way participants will receive certificates, ribbons, medals, trophies, clothing and a chance to get their name on the biggest trophy you have ever seen! Club Organizers – Find the Hosting Guide, Fillable Posters, Participant Registration forms, Participation Certificates, Leaderboard Instructions and Manual Scoresheets here: CLUB ORGANIZER RESOURCES. A HOSTING KIT – consisting of three medals (first place), three 2nd and three 3rd place ribbons and participation certificates will be mailed to the address registered on the club registration. Clubs should register well ahead of their competition date to allow time for Hosting Kits to arrive by mail. Leaderboard – and Web-based scoring tool is available for clubs to enter their scores. The Web-based scoring tool will feed into a National and Provincial Leaderboard which will be posted at www.hitdrawtap.ca. Parents – Ask your club’s Youth Curling Coordinator or Club Manager to see if your club is hosting a Hit Draw Tap Championship this season. 2015-2016: Final Standings – Provincials.